Footage from earlier today playing with my new camera. Lemme know what you guys think! Tripod is the next purchase. Was the first day out with it and wanted to see what it recorded like. The weather is finally breaking up it seems! Time to get out there and start playing/practicing. Looking to play tomorrow somewhere, you're welcome to join! I want to try and hit this season hard. Where do you want to hit bro and when. I'll try to join you. Was thinking lakeshore possibly. Just waiting on a yes or no from Ian. Then to figure out when, if he wants to go a little later I might hit bends before hand. How do I do this again?? 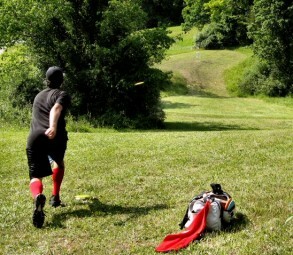 Don't Forget this weekend at Rolling Hills is the http://www.discgolfscene.com/tournaments/Michigan_Fall_Fling_Adv_Rec_and_Jrs_2013 Saturday and http://www.discgolfscene.com/tournaments/Michigan_Fall_Fling_Pro_Int_Nov_2013 Sunday! Multiple unpaid CTPs to be awarded! One Round from Short one from longs, and it is sure to be a great time! I wish, I'm stuck at work all day. Have the lifted the before 6 league start yet? Thank you everyone very much!! $936 Ace!!! Nicely done, Zak!!! Zak, I must say I have been running the Super Pool since 1996 and that took the cake. It's a new record. Sweet ace. Congratulations. What is "Michigan Like" wind? **** Wind! It's too loud! Congrats on your Twins, Zak!! Thats a good day of disc! weigh them son. anyone who snitches on someone for having overweight plastic should go **** themselves with a rusty steak knife. I think it's funny that they got caught out of all the manufactures. The good ole rusty steak knife...any snitches out there, better go get their tetanus shots now. Adkins has plenty of rusty steak knifes waiting for you. Are your discs self-conscious about their weight, Adkins? your humor escapes me son. i have a rusty steak knife with your name written all over it, Watson. We are selling prodigy D1's and D4's for $20 a piece! Please contact me on here or send me a text if you're interested. Anyone interested in the Proto D1's and D2's? Pm me or shoo me a text! Displaying 1-20 of 334 total board posts.